Whilst executing my likes on Instagram I came to this remarkable ‘fact’ so to say. 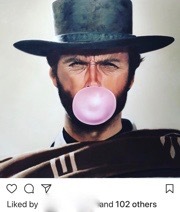 Artist Michael Moebius posting his work with the bubblegum faces. 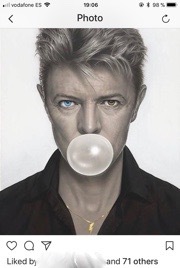 Michael is a contemporary German painter known for his illustrative portraits of celebrities blowing up a pieces of bubblegum. In his works, iconic figures such as Audrey Hepburn, The Beatles, Queen Elizabeth II, and Marilyn Monroe, are given fresh life through the artist’s simple addition of a coloured bubble. 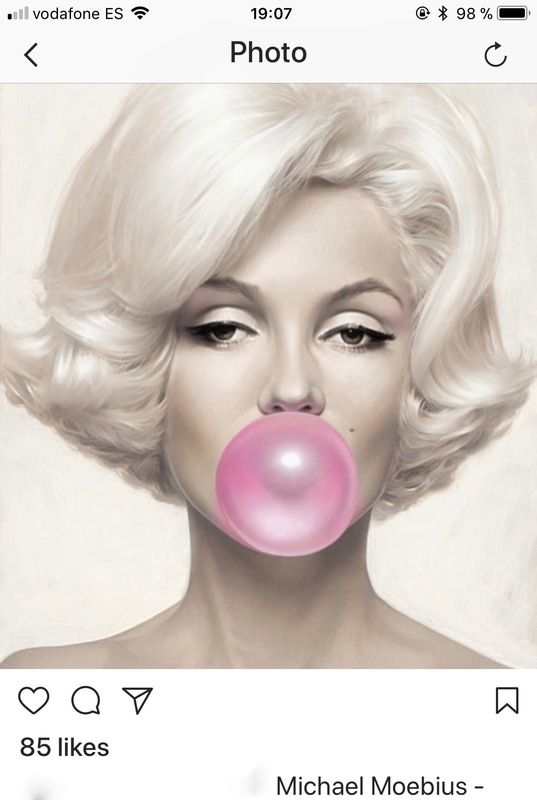 Not to sure if Audrey would have liked her perfect face covered with pink bubblegum and so travelling the world, maybe Marilyn would have liked it. But that is not what surprised me ,the fact that as a pretty well known artist you come with an amount of likes of 85 ,.. When I scrawl a little bit more down and I come to the page of Fetching Tigers, -Annechien Schilling- I adore her ,love her work she is the Queen of edits . 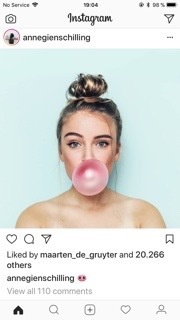 She as creative as she is ( probably not ever heard of Moebius ) puts a bubblegum on her cute face posts it and what do we see 20.266 likes !!! So what is the message ? Maybe it is just a fact, a remarkable one..